A known bug has been found when a user follows the recommended practice of assigning a ‘Cost’ Resource to a summary task. 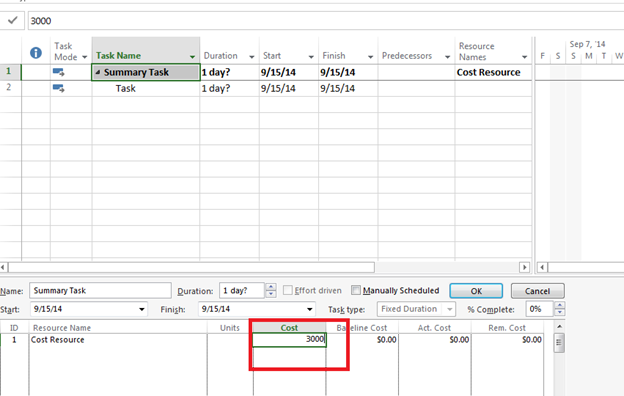 When using the ‘Assign Resources’ dialogue if you specify the cost then click ‘Assign’ the cost will go to $0.00. 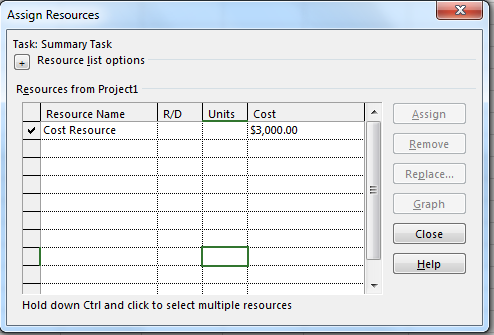 In the scenario below I selected the cost resource, specified $3000.00 then pressed ‘Assign’. Once this was completed the cost went to $0.00, it is now not possible to update this cost in any view/form within Microsoft Project. Even if I try to add the cost using the ‘Task Form’ it won’t accept the update, after I press ‘OK’ the cost goes back to $0.00. 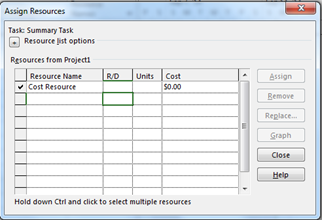 In the ‘Assign Resources’ box select the cost resource that you want to assign, click on the name of the resource and click ‘Assign’ AFTER the resource is assigned then specify the amount. 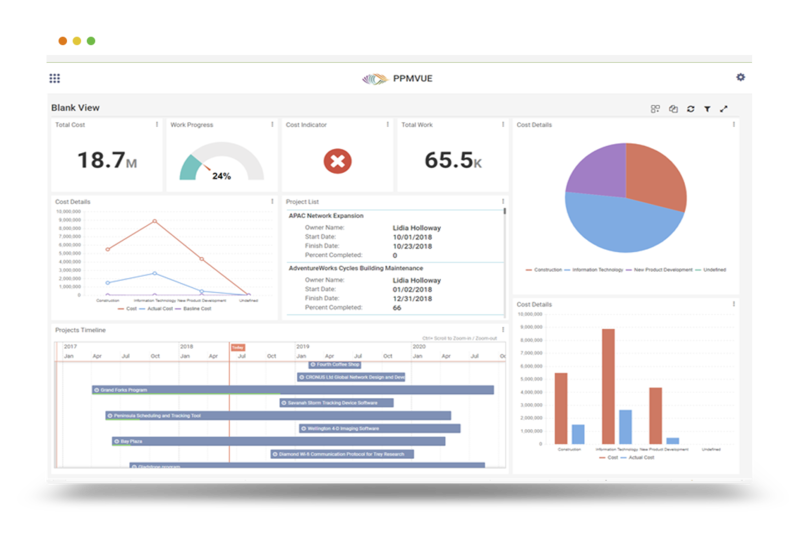 Users will typically encounter a bug when assigning a ‘Cost’ resource to a summary task. (This is a common best practice) This bug is only found in the ‘Assign Resources’ dialogue. Hope this helps when you are assigning cost resources. 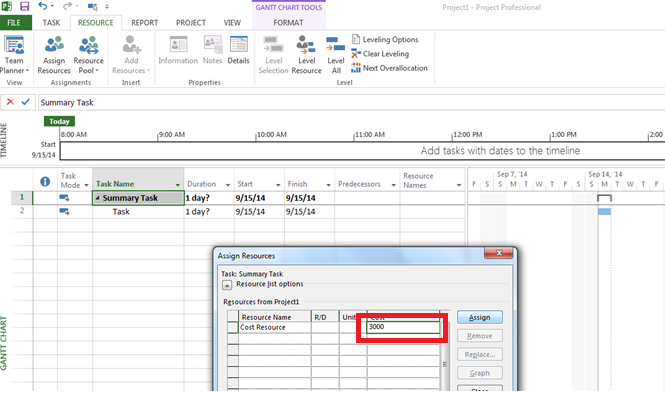 This entry was posted in Microsoft Project. Bookmark the permalink. ← Why Do Project Managers Need To Think Proactively About Organizational Change Management?